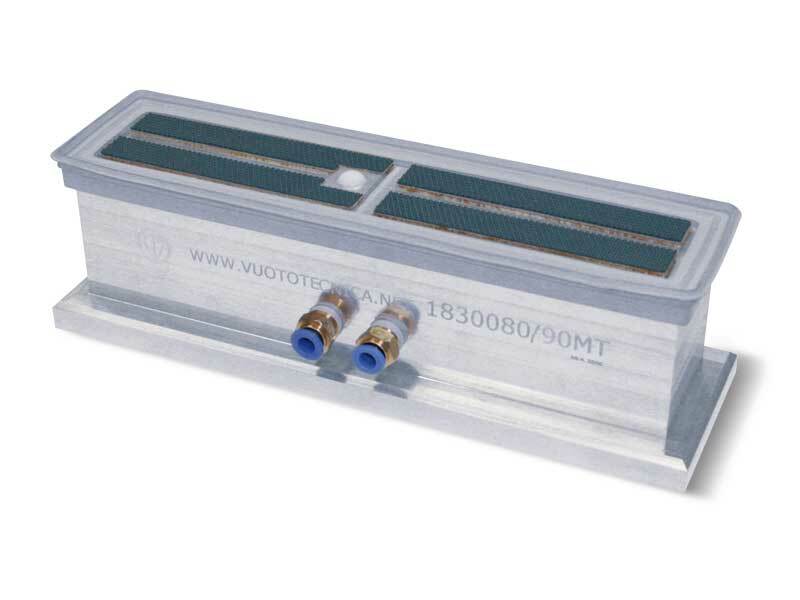 commercial name, international abbreviation, Vuototenica abbreviation, positive and negative features, colour, operation temperature, hardness, chemical resistance, food standards and finally examples of use. 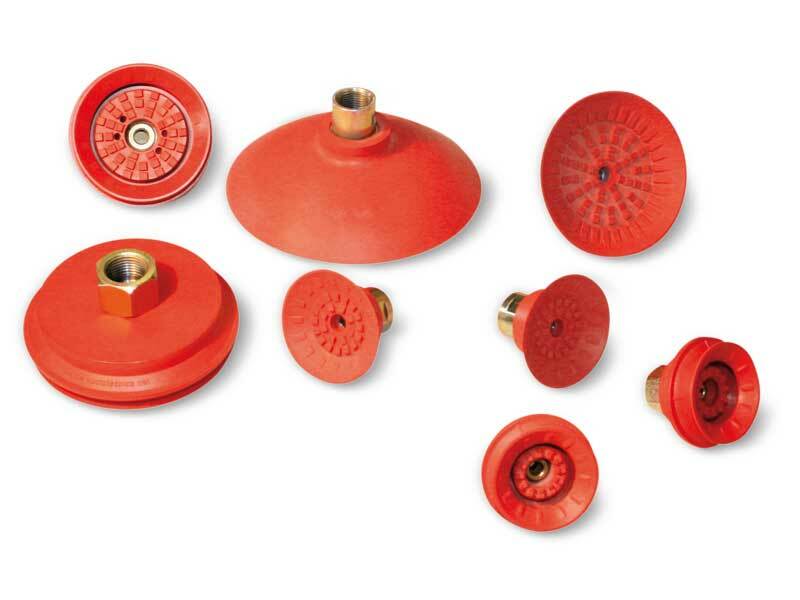 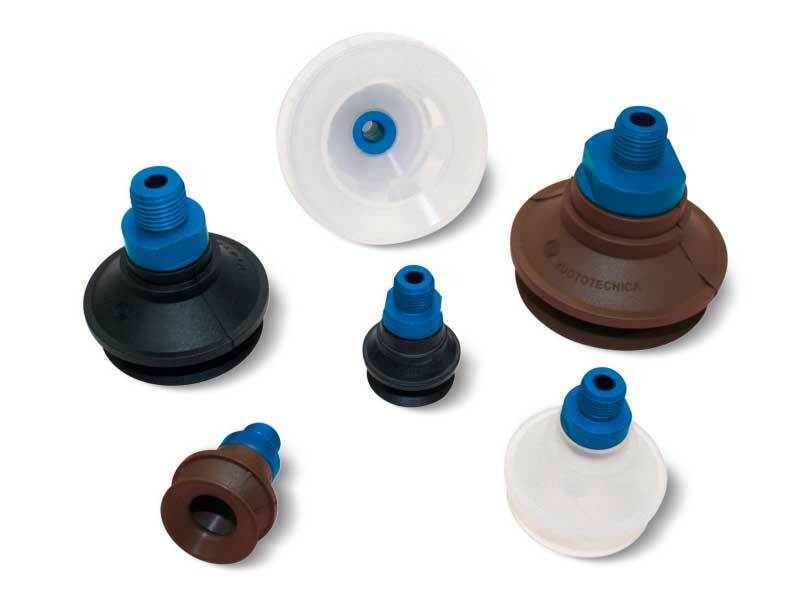 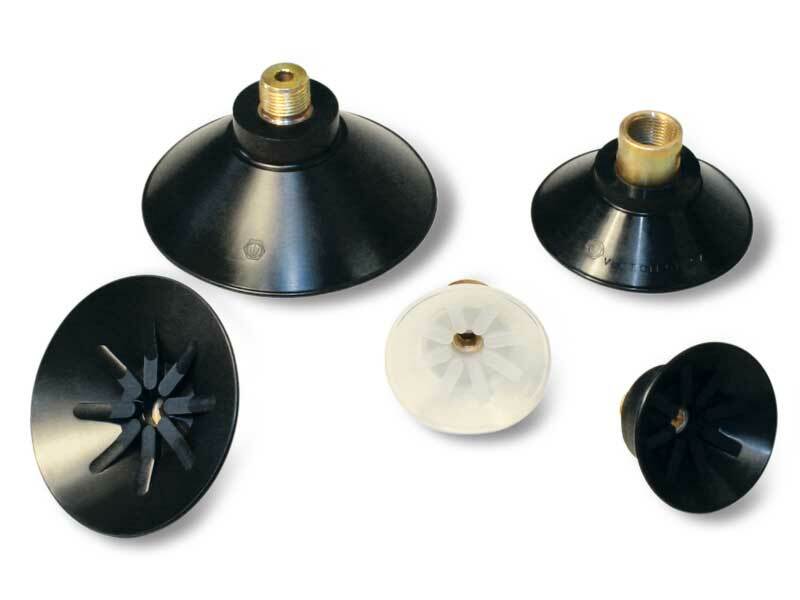 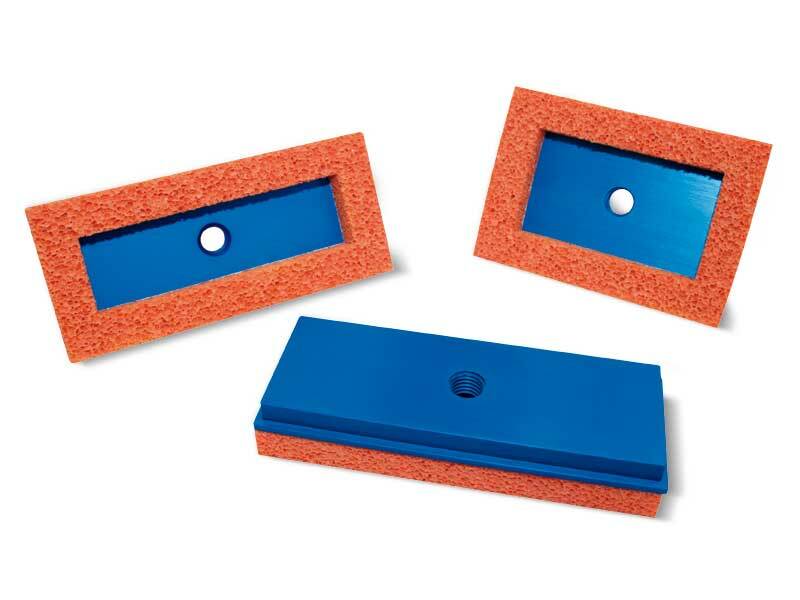 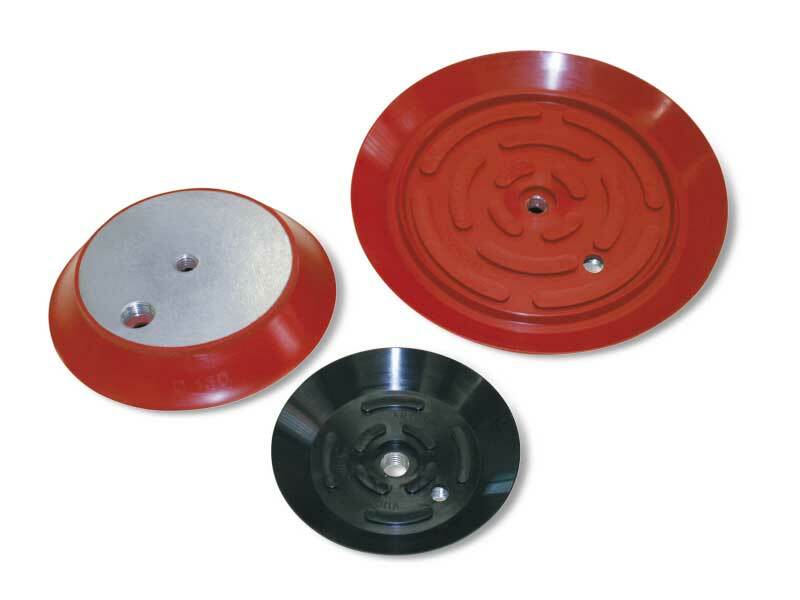 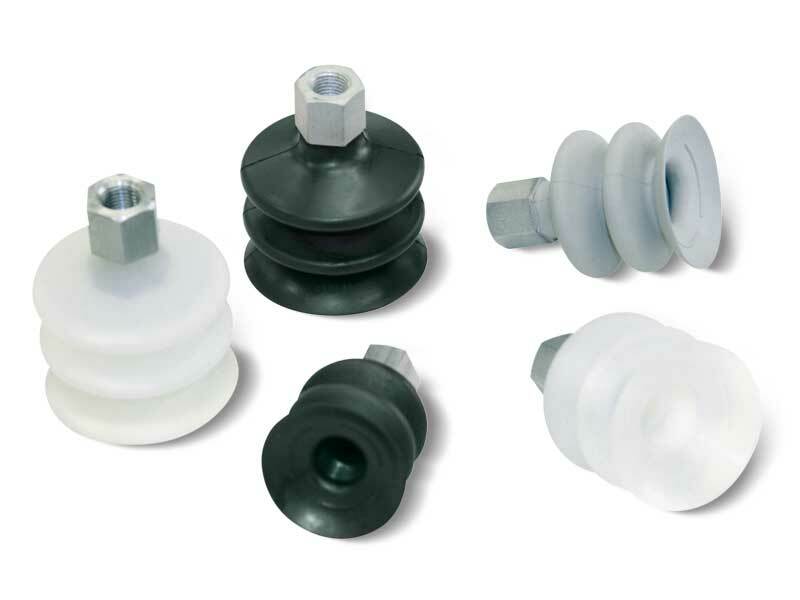 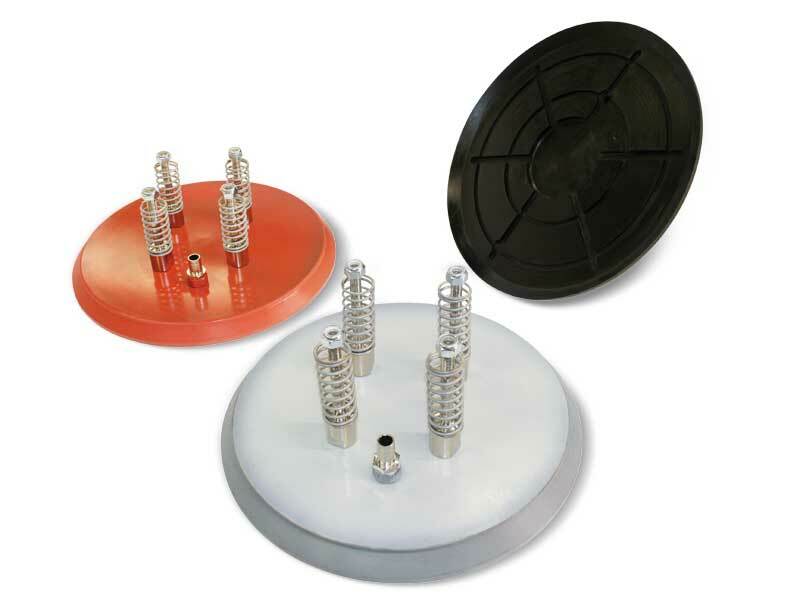 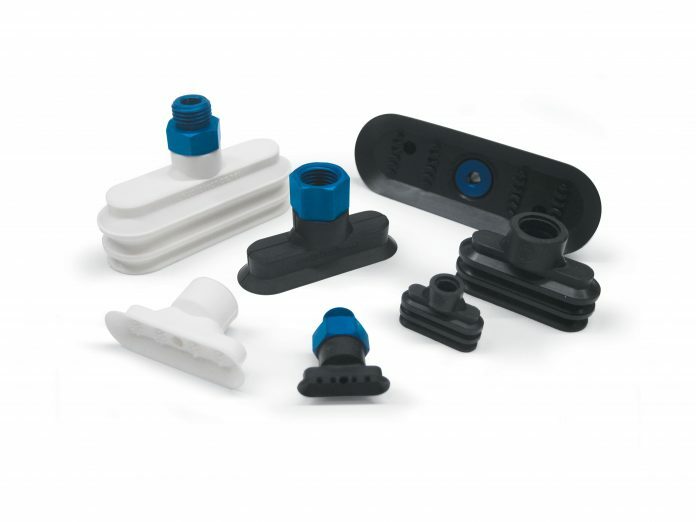 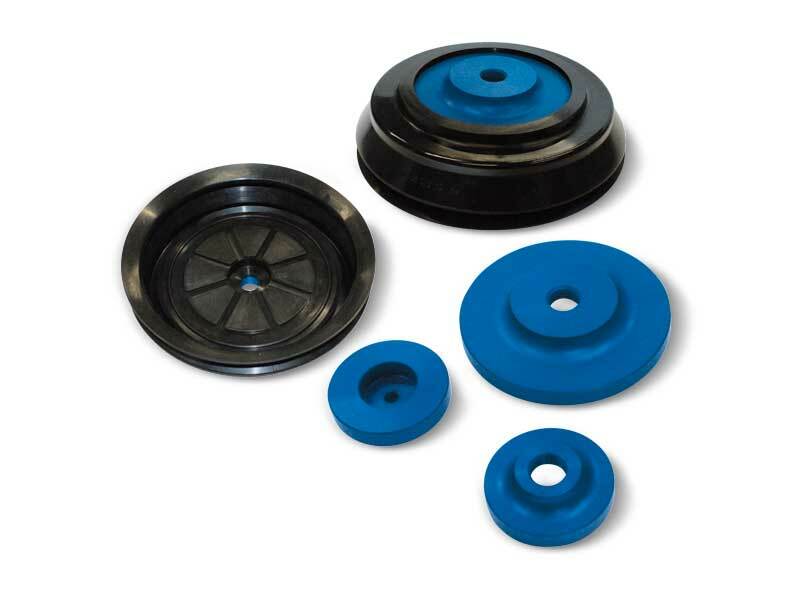 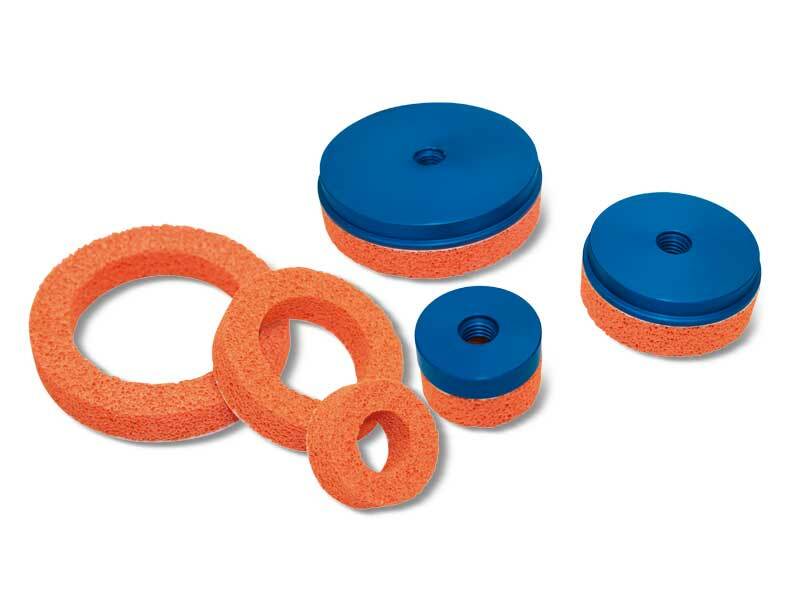 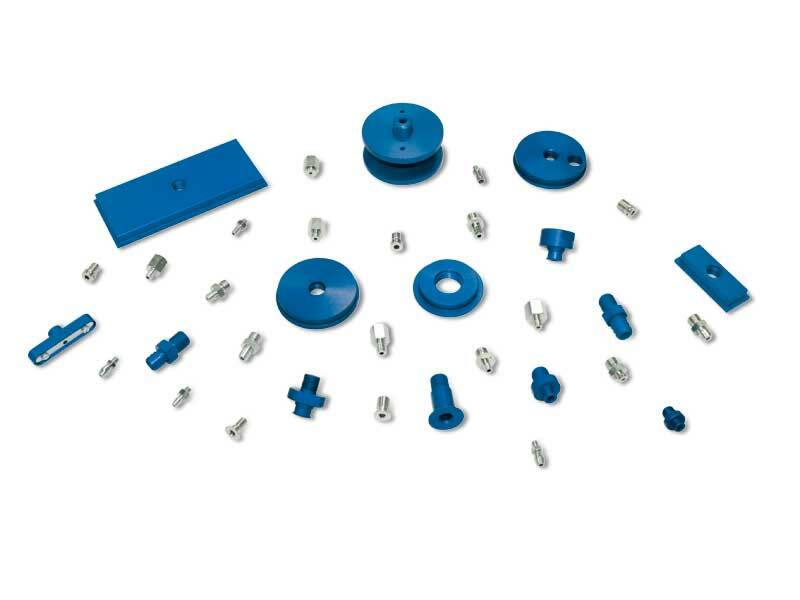 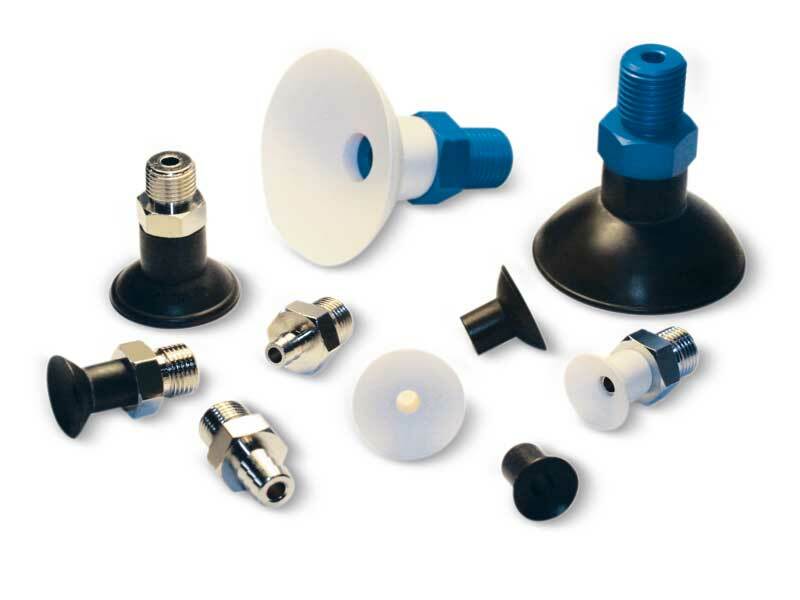 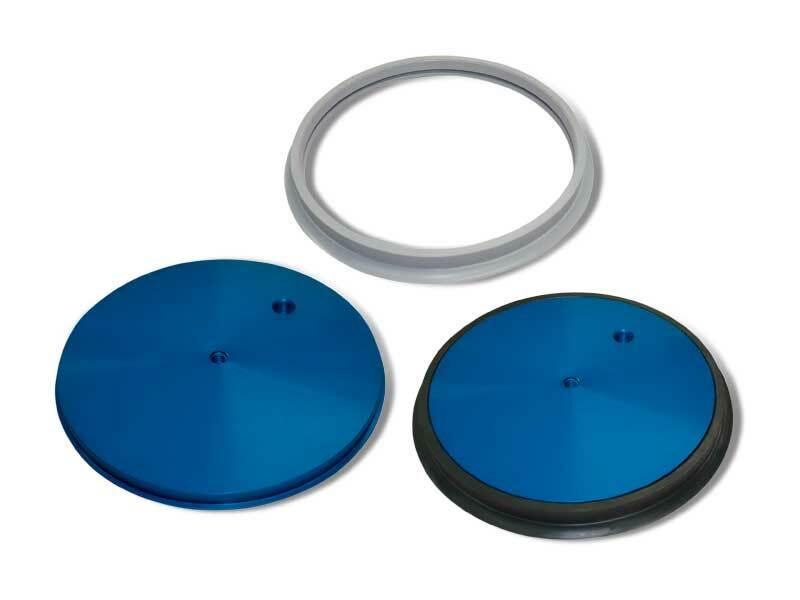 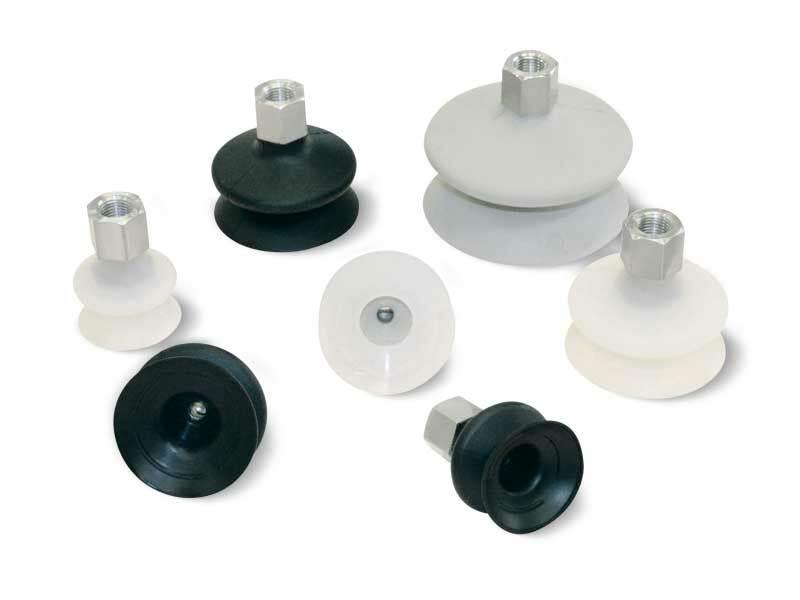 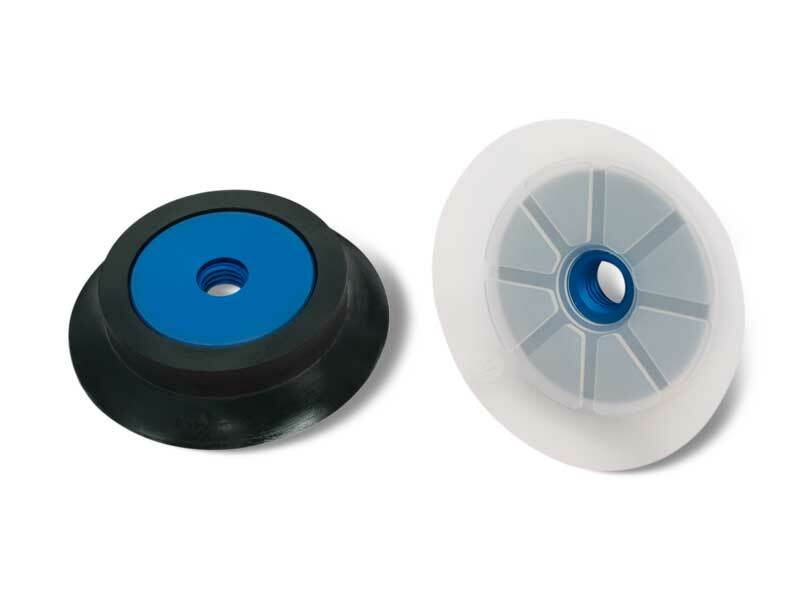 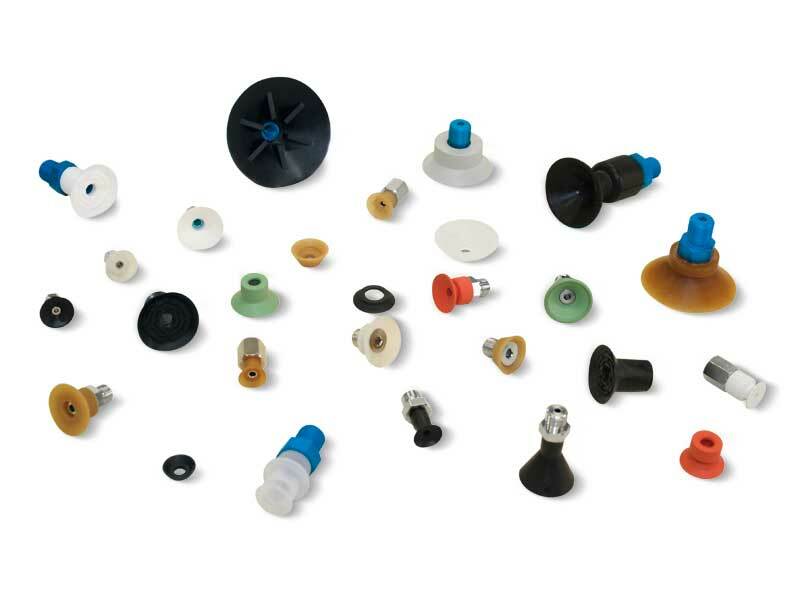 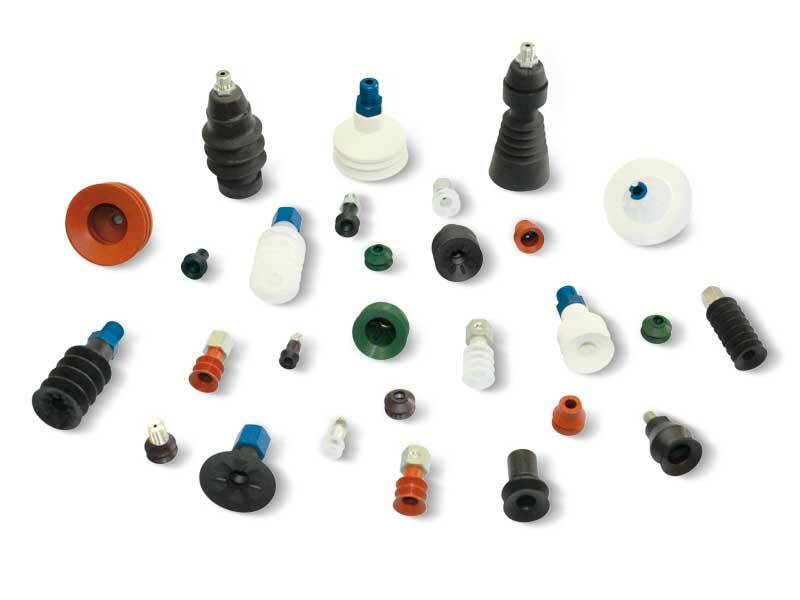 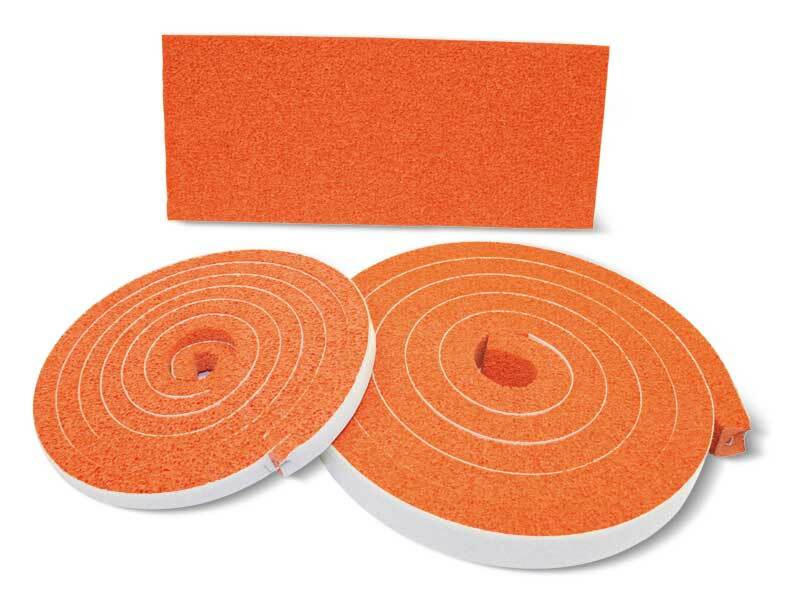 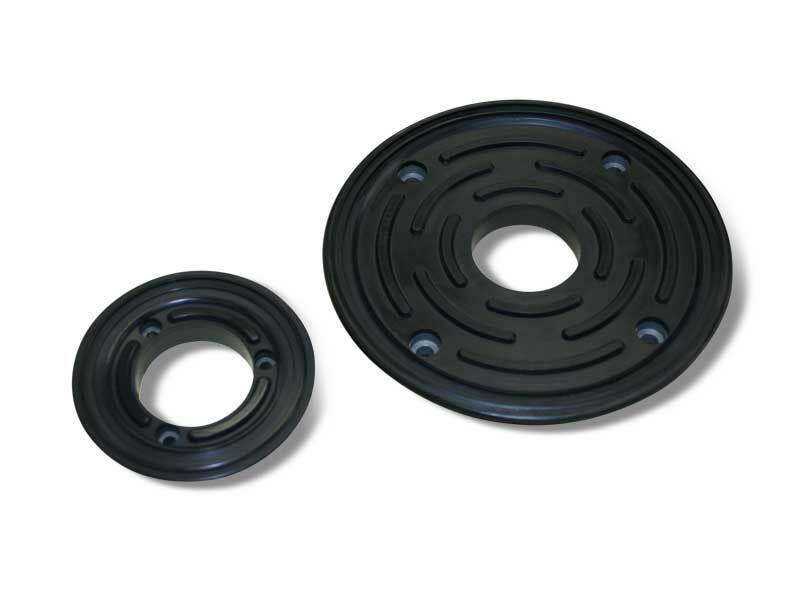 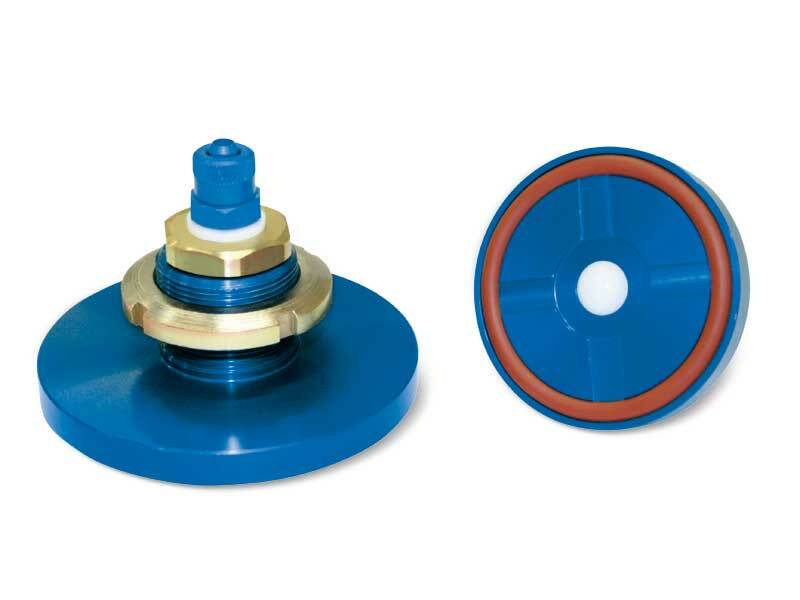 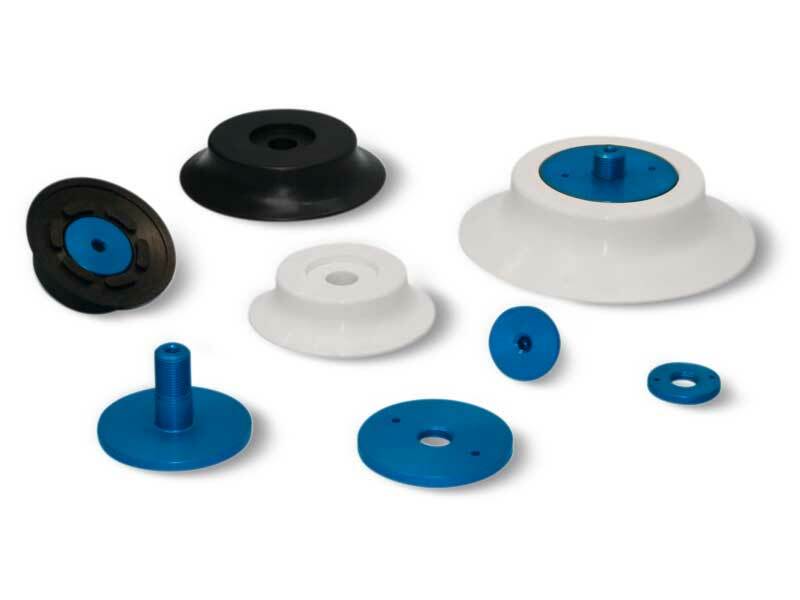 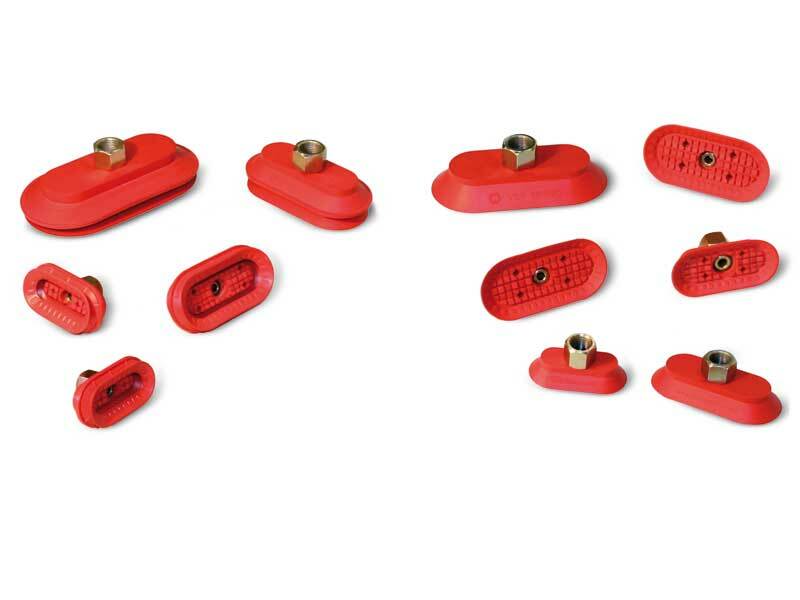 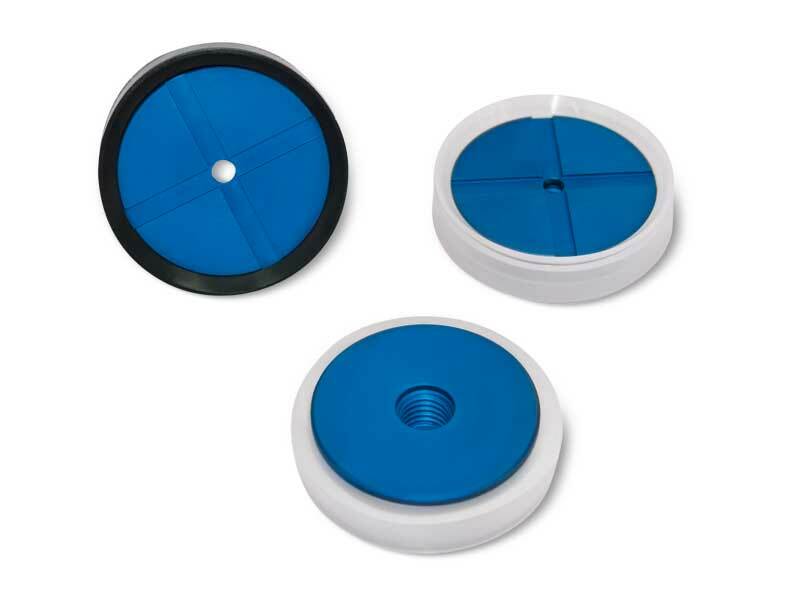 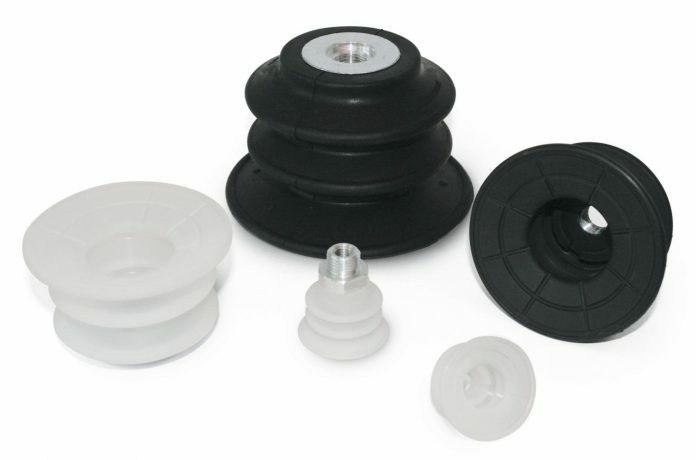 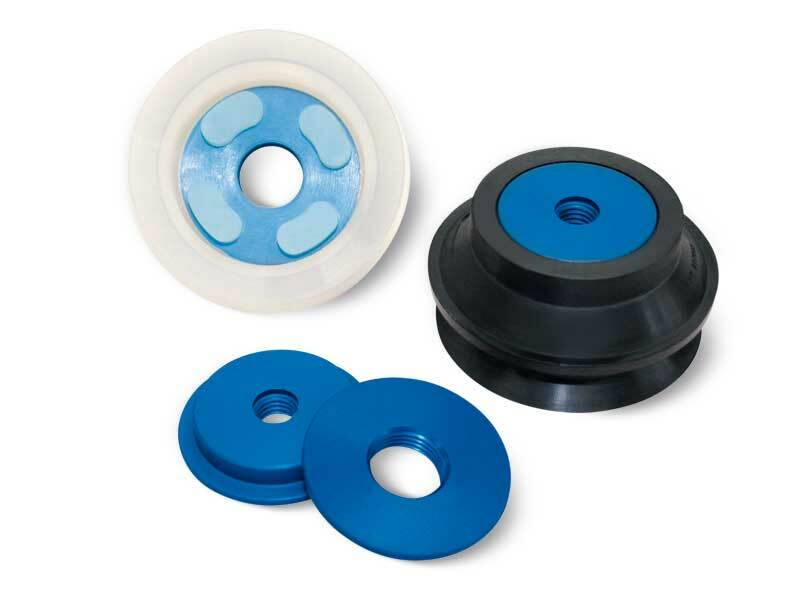 Complete range of flat elliptical suction cups, normally used for gripping, handling and clamping cardboard cases and boxes, wood shingles, small ceramic or brick tiles, iron or stainless steel profiles, sheets and anything else present on long, narrow gripping surfaces. 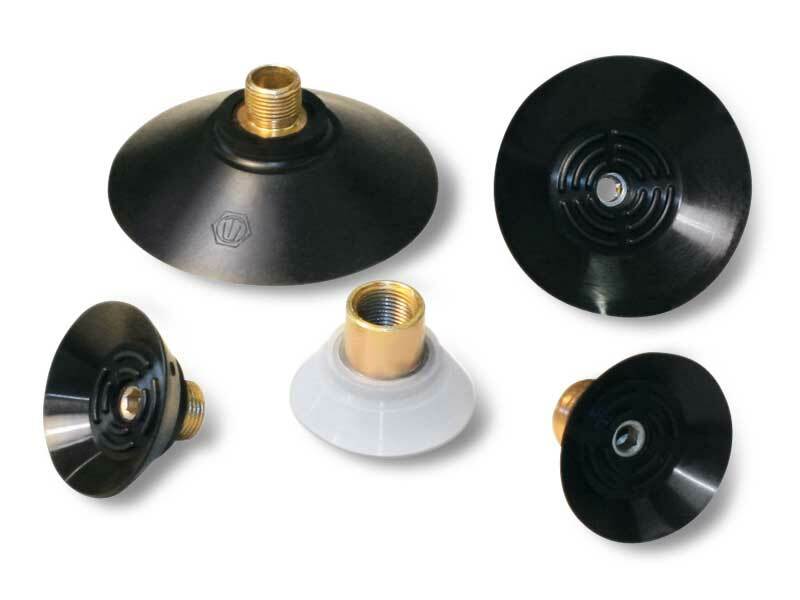 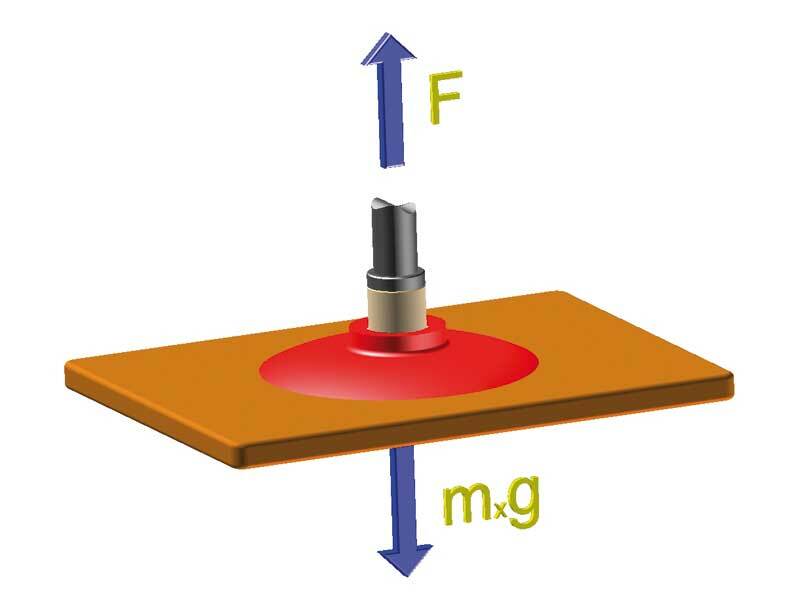 Instead, bellow elliptical suction cups, in addition to having the same function as the flat cups described above, are able to adapt to the gripping plane, even if not perfectly perpendicular to the axis of the suction cup, and can recover evident unevenness of the loads to be lifted. 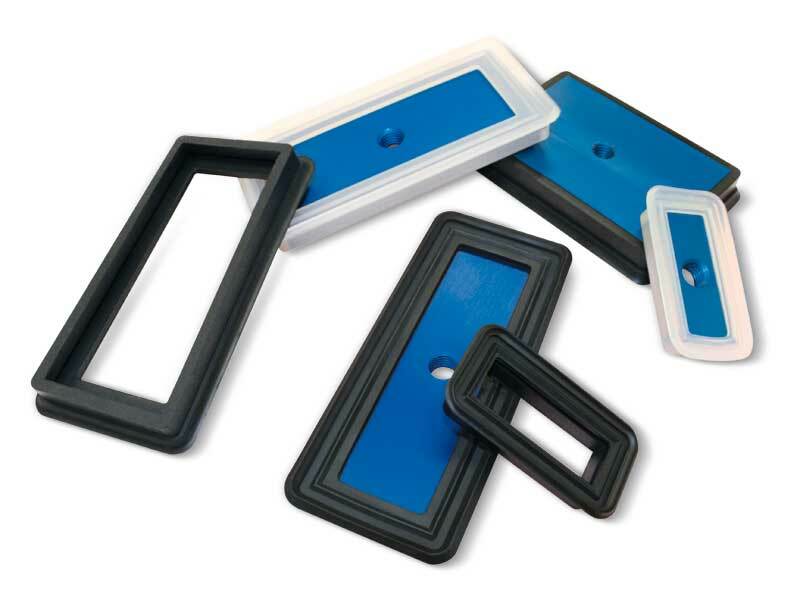 They are normally available in three standard compounds but can also be supplied in special compounds, upon request and for minimum quantities to be specified upon ordering. 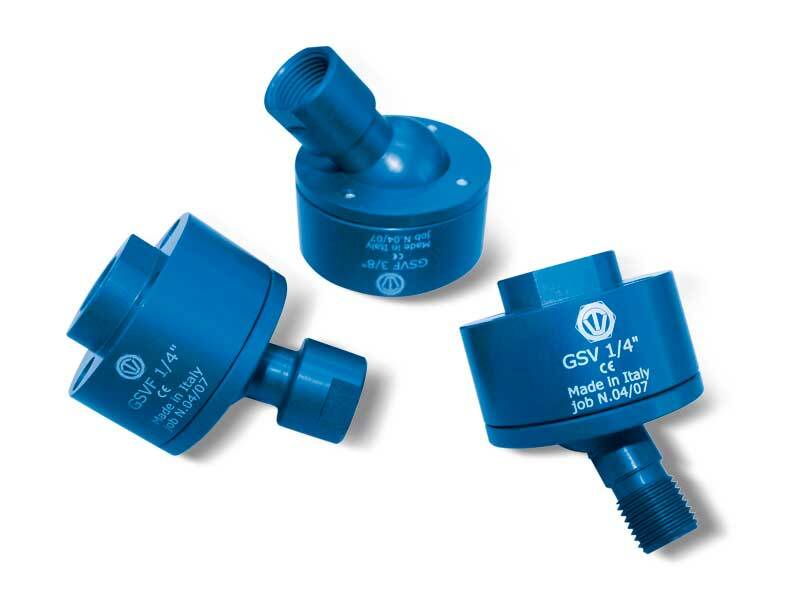 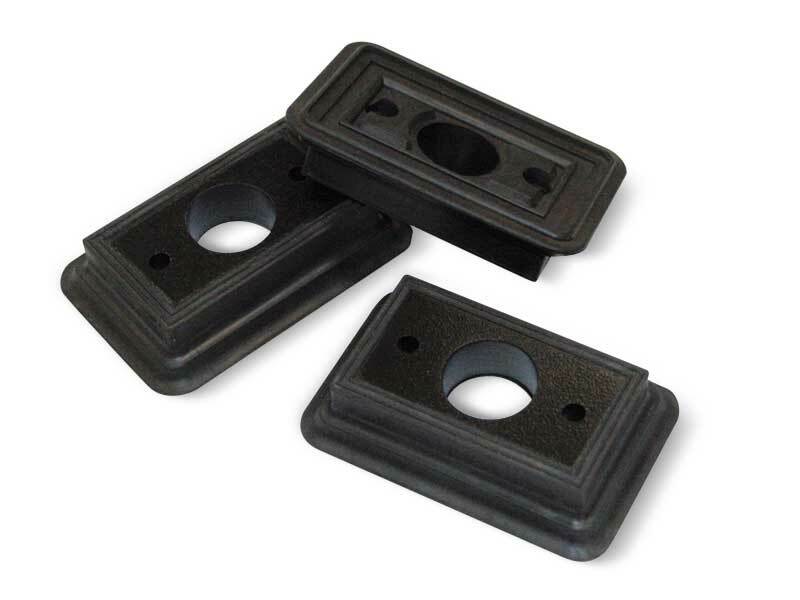 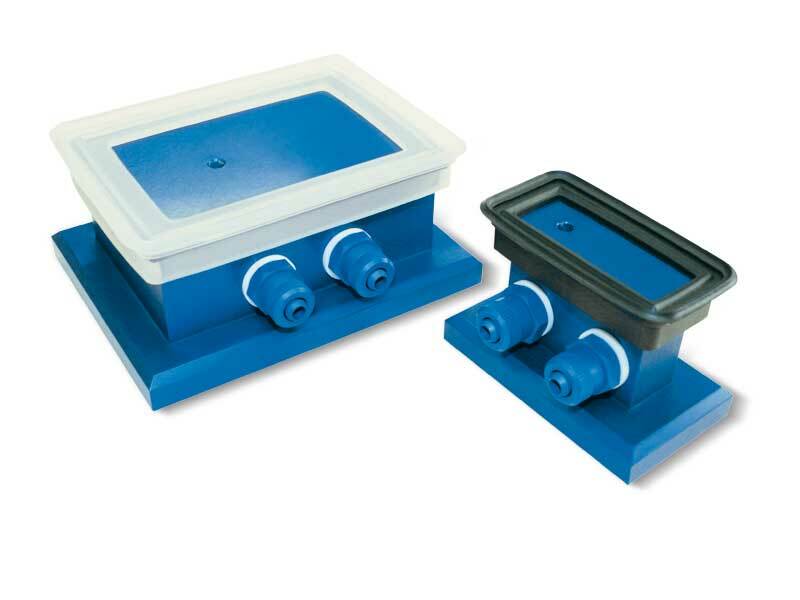 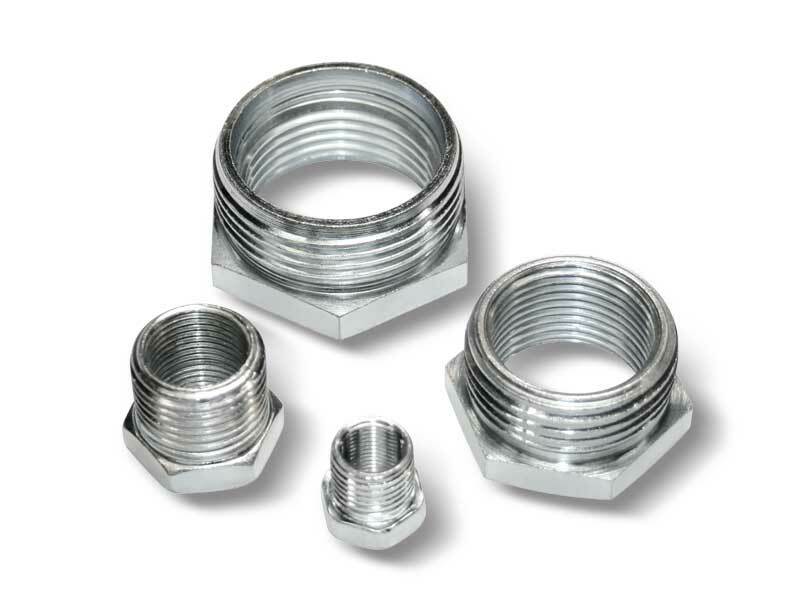 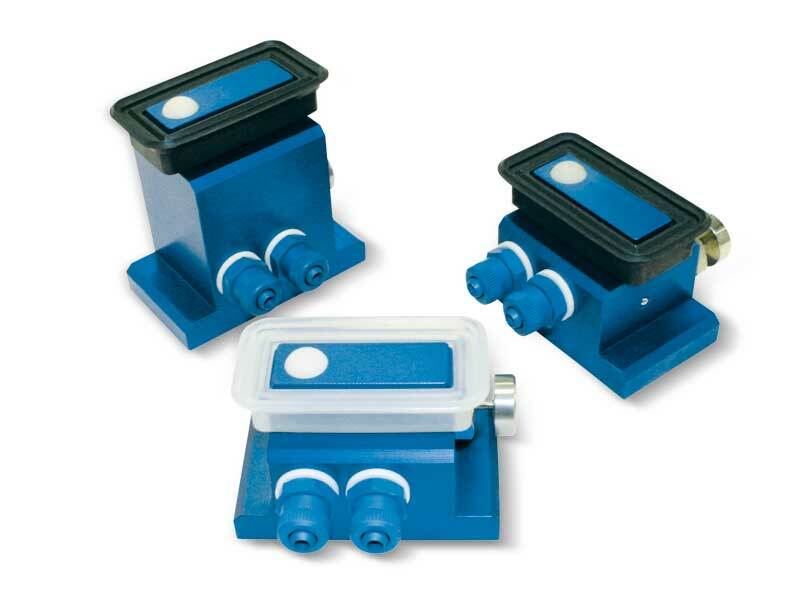 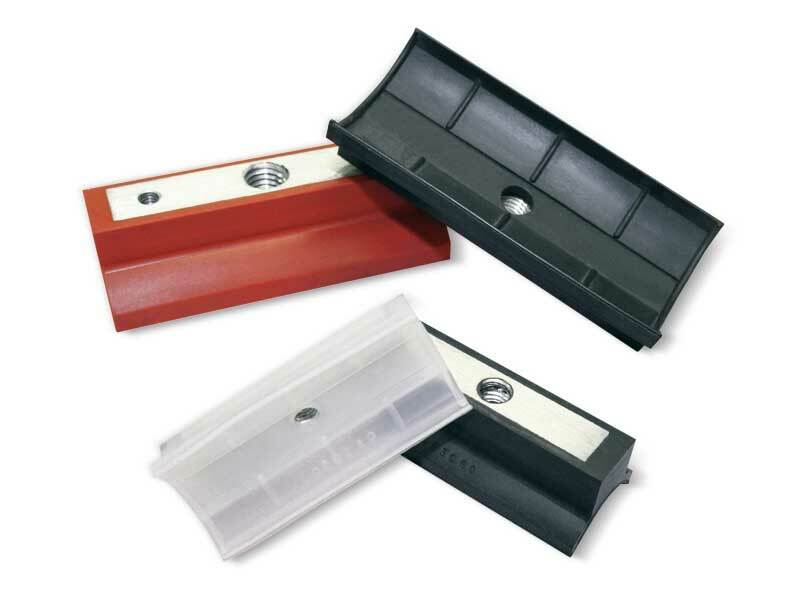 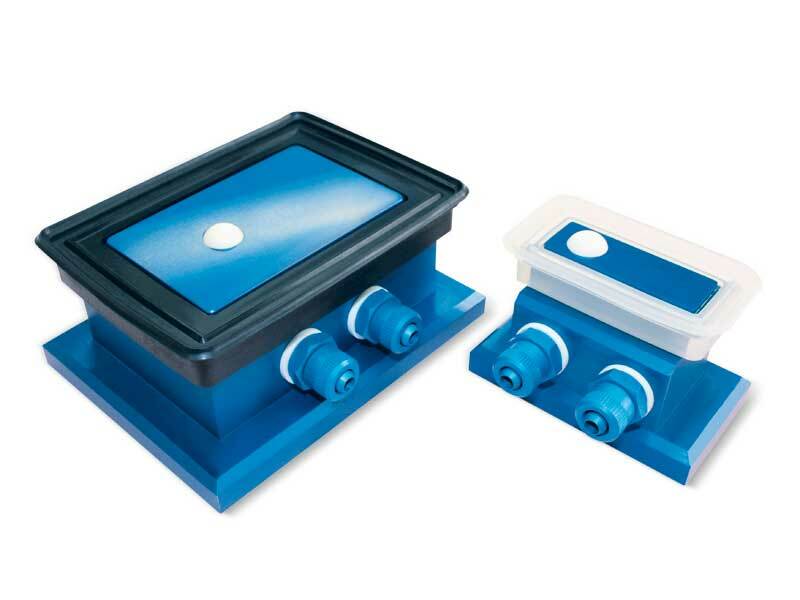 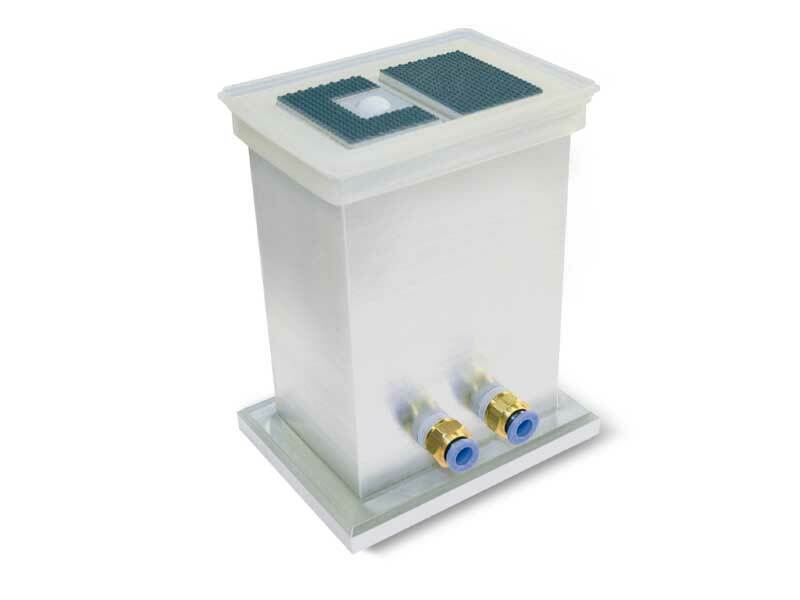 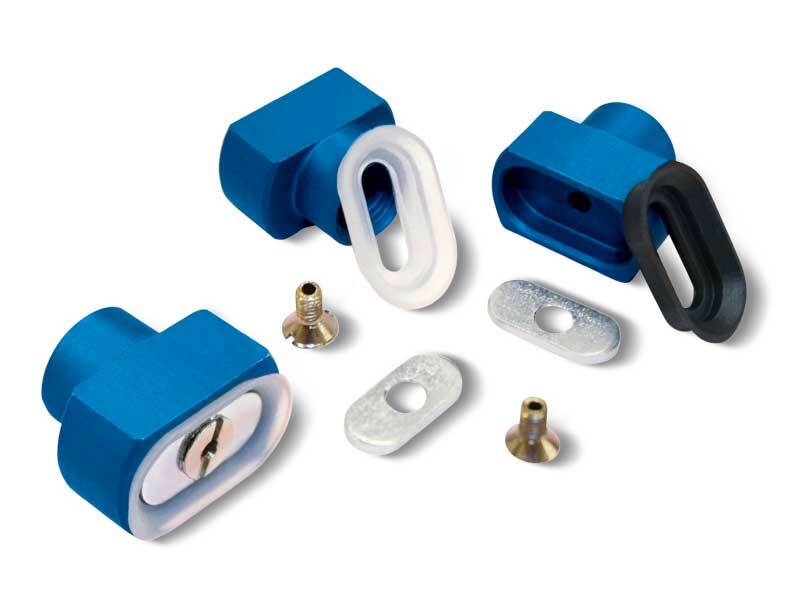 Both items can be supplied with or without automation fastening support. 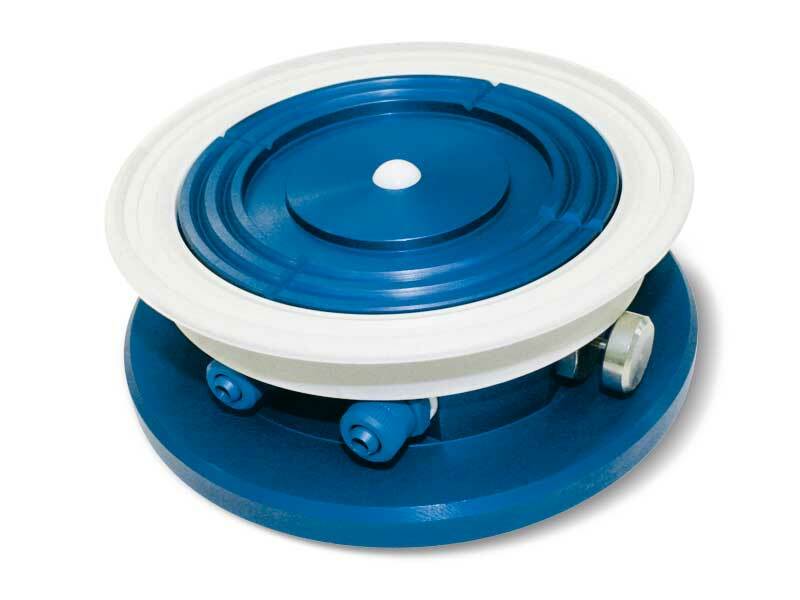 Upon request, special non-rotating suction cup holders on which to assemble them are able to prevent their rotation during use. 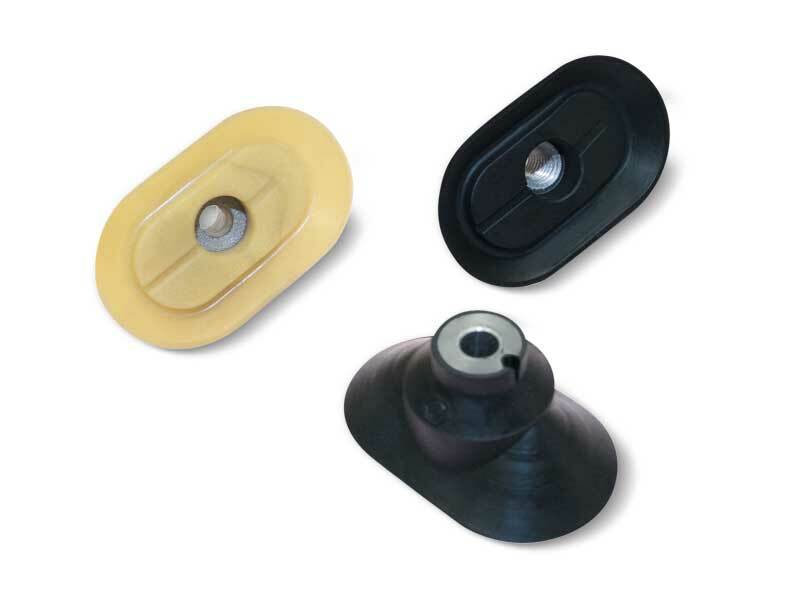 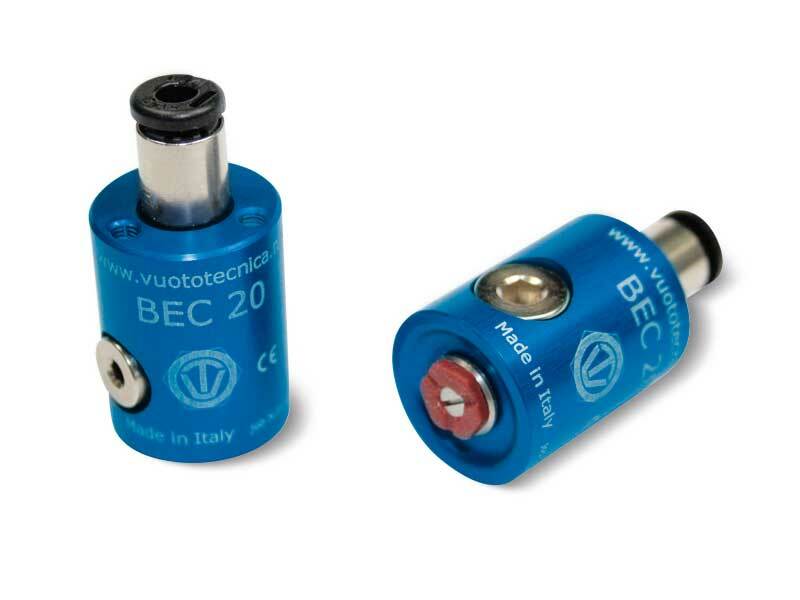 Created from experience, Vuototecnica welcomes the new increased performance bellows suction cups 01 30 45 S.
Especially suitable for installation on automatic, high production machines in the packaging sector, equipped with a grip lip designed to be extremely flexible, able to adapt to the upturn on plastic flowpack packaging. 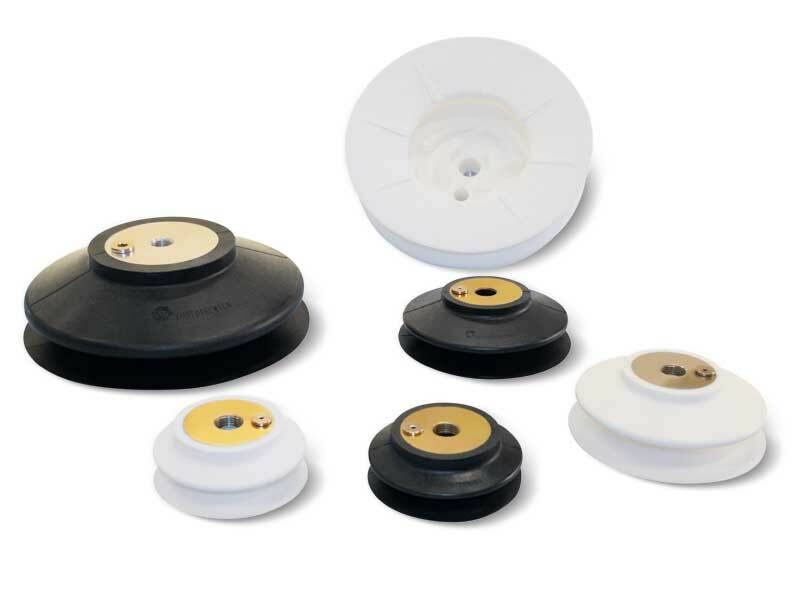 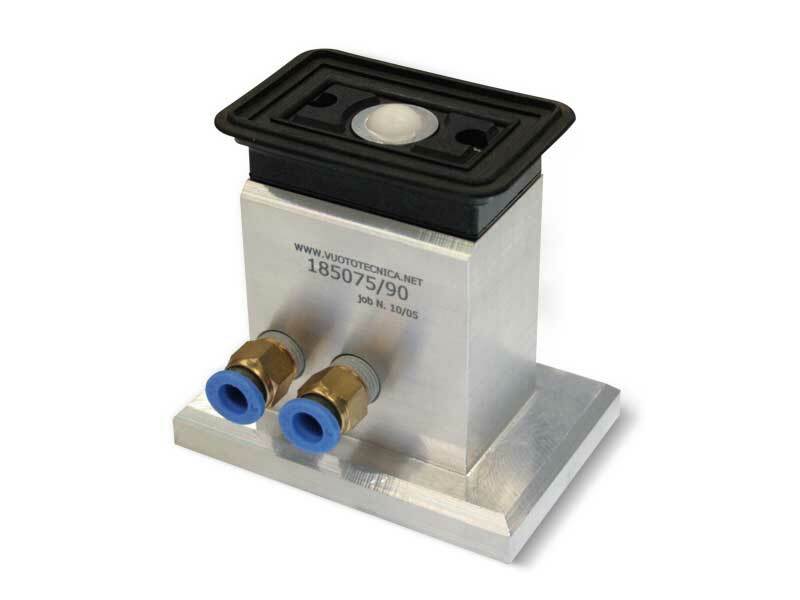 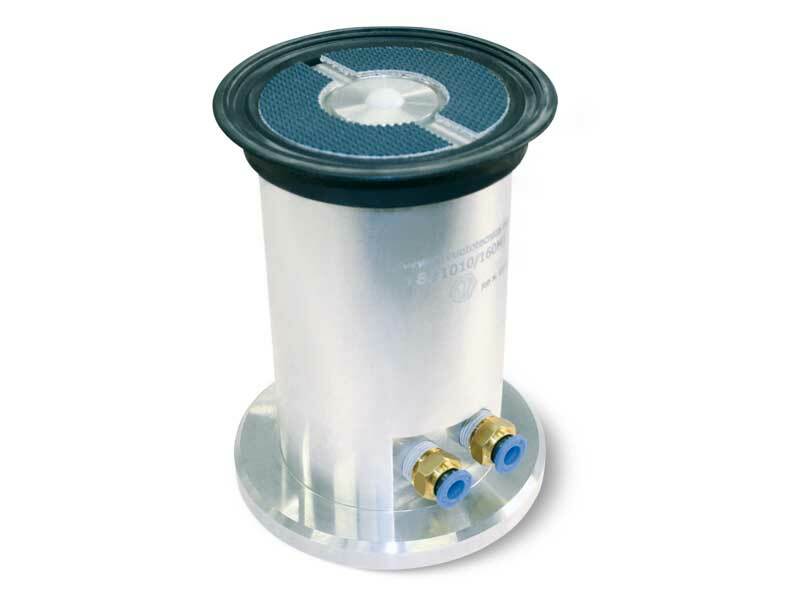 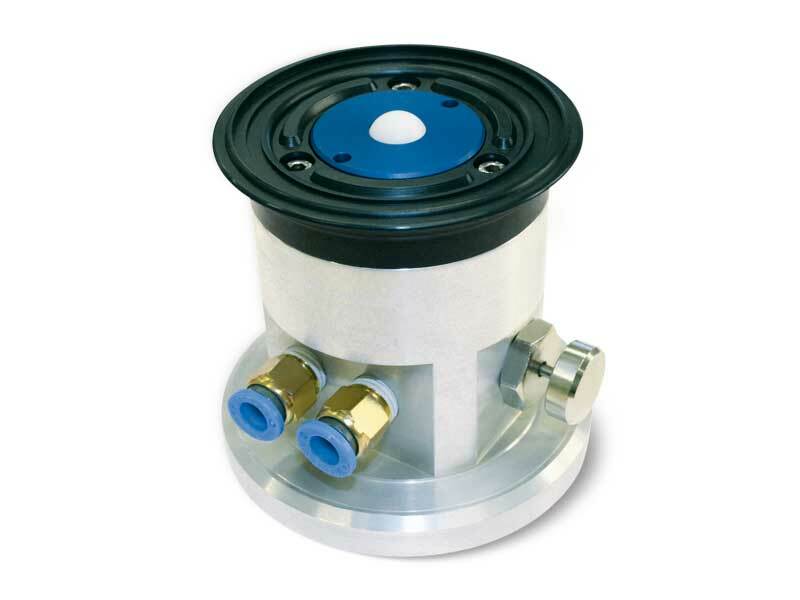 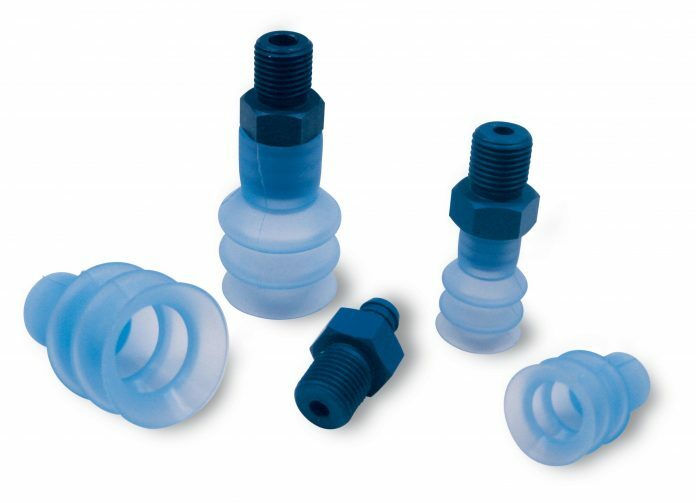 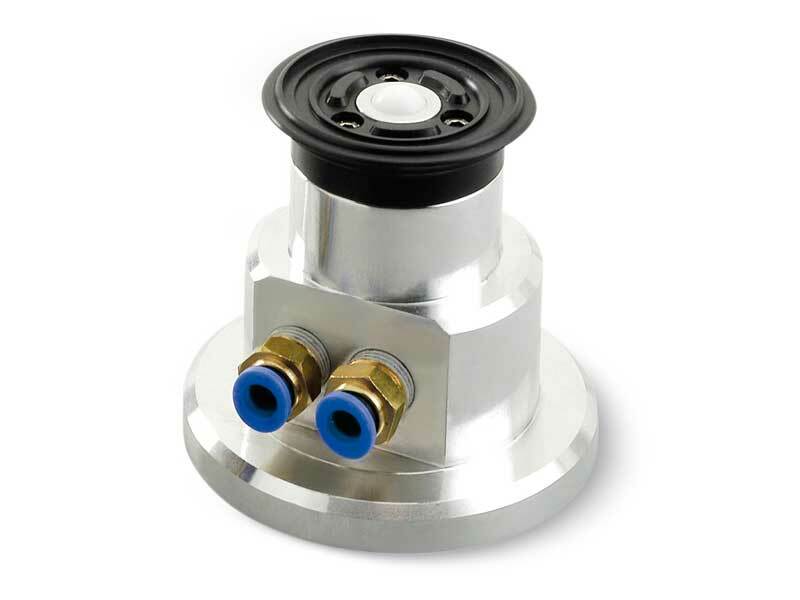 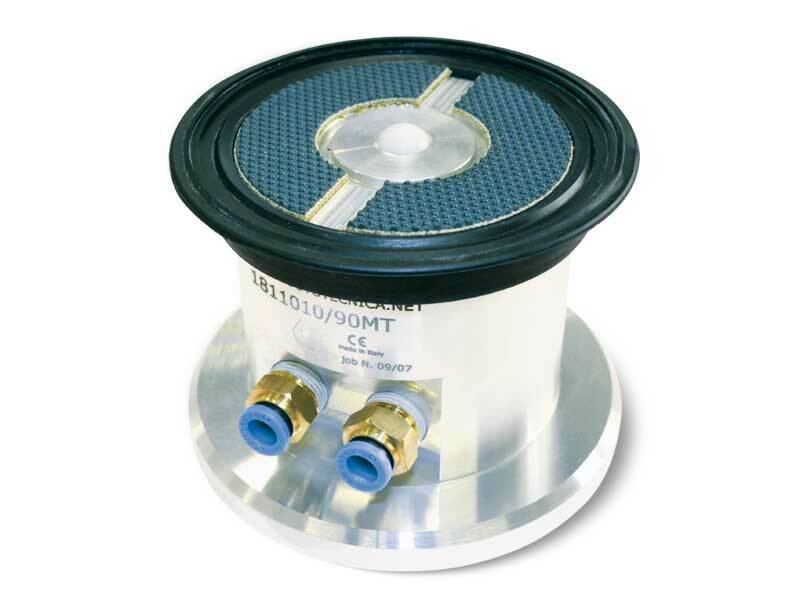 Furthermore, suction cup gripping is carried out with a lower volumetric suction flow from the vacuum source, with resulting energy savings for the end user. 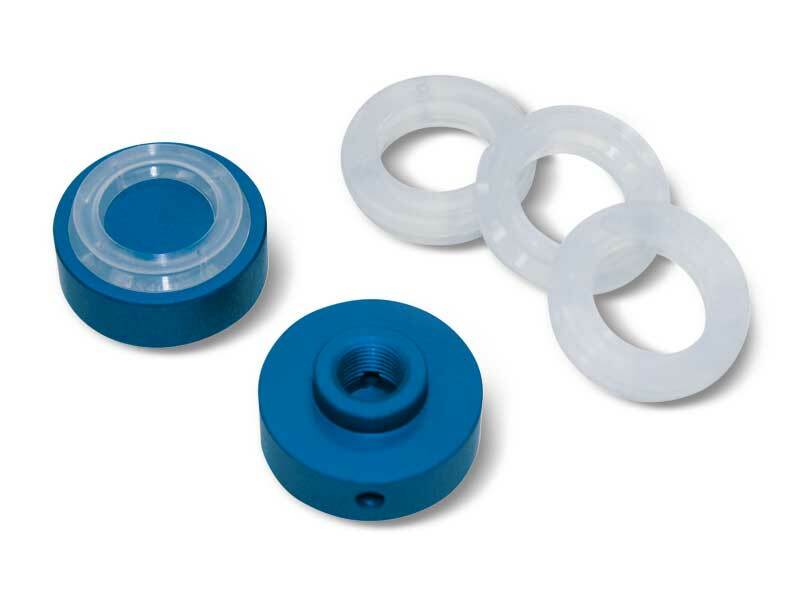 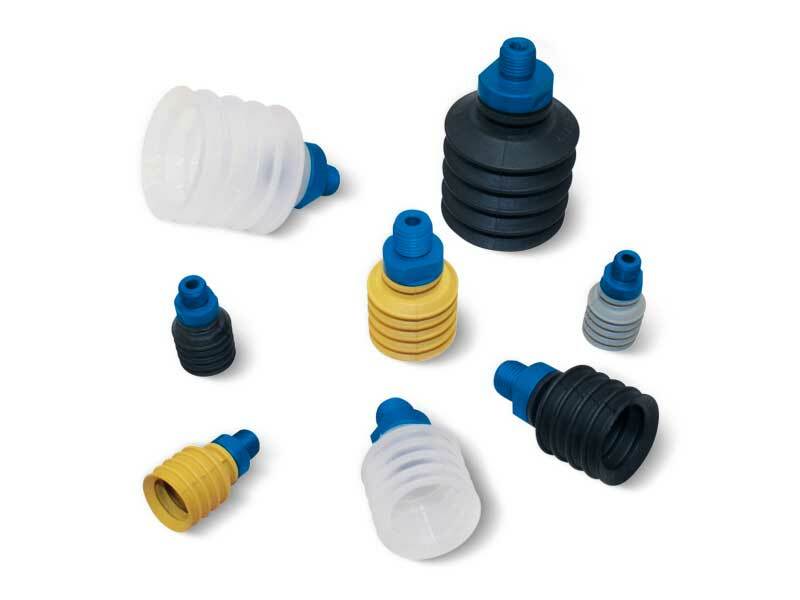 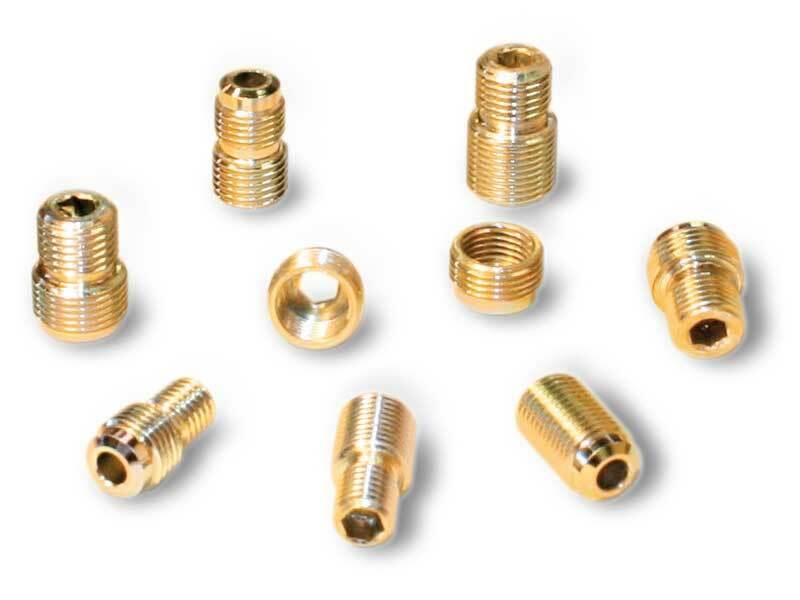 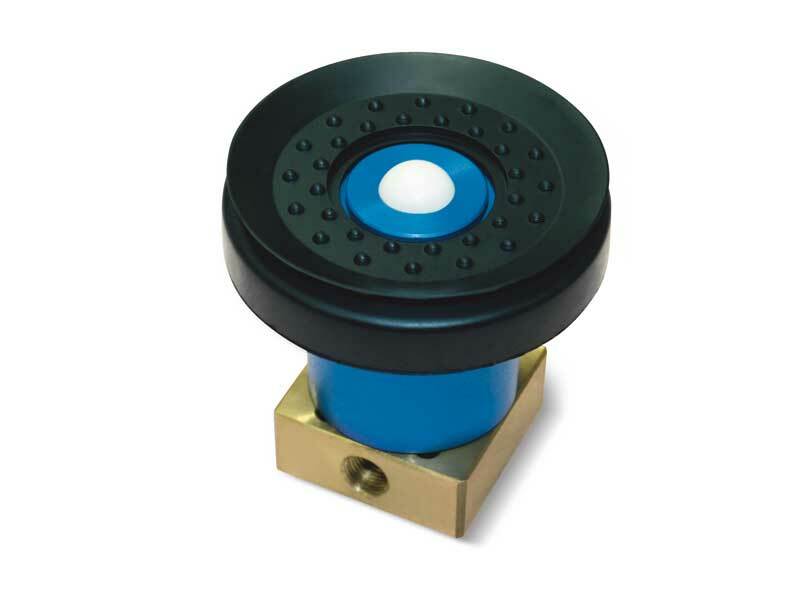 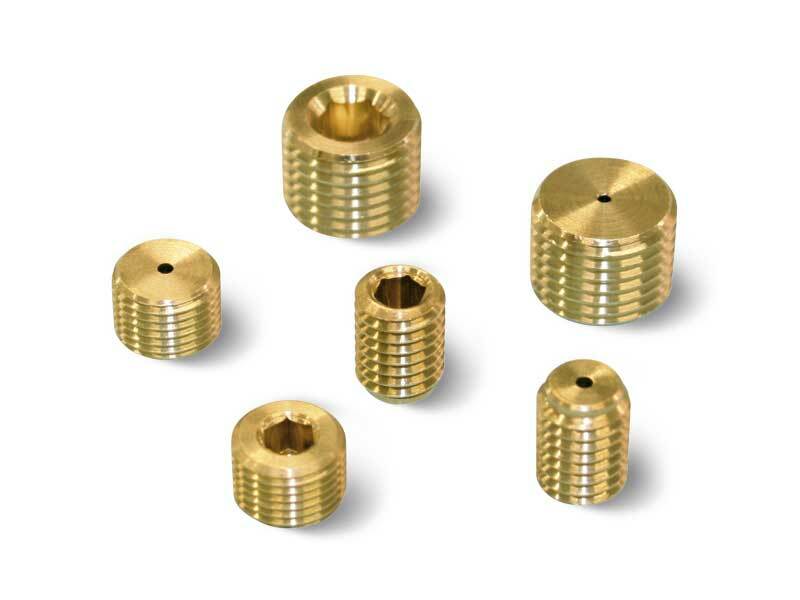 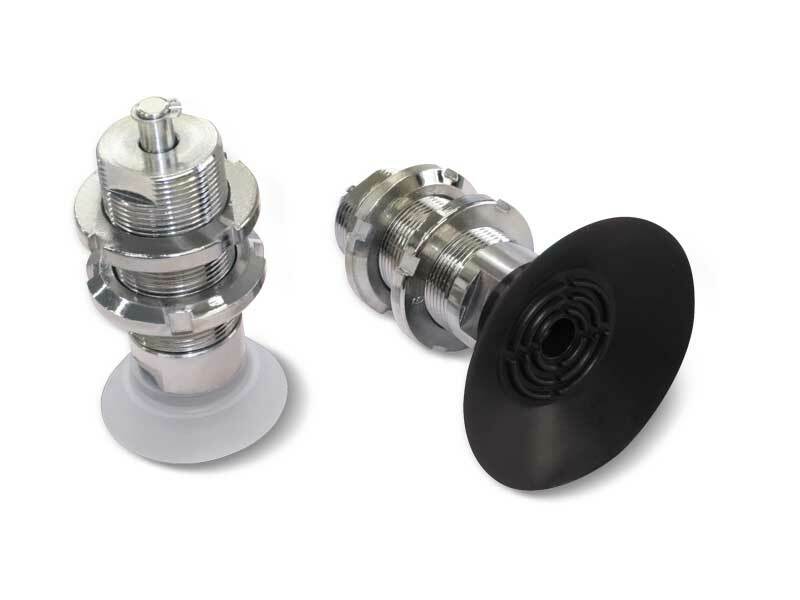 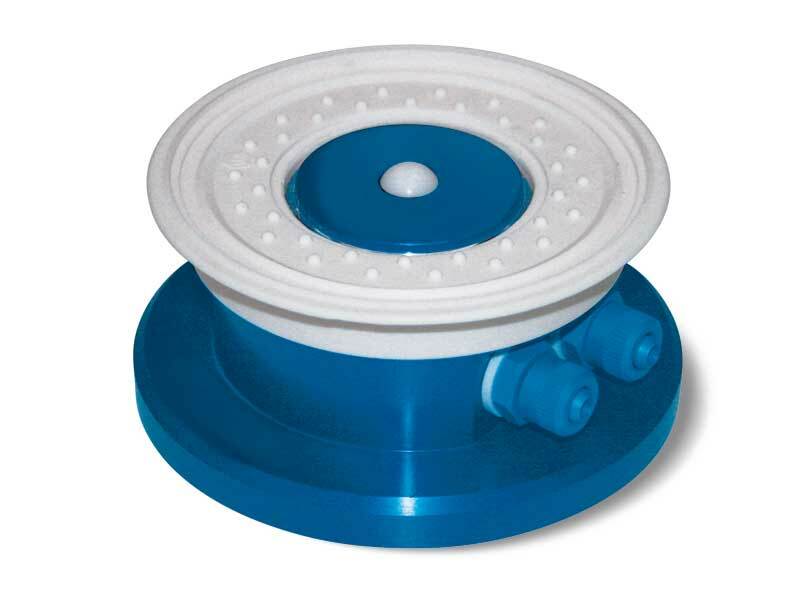 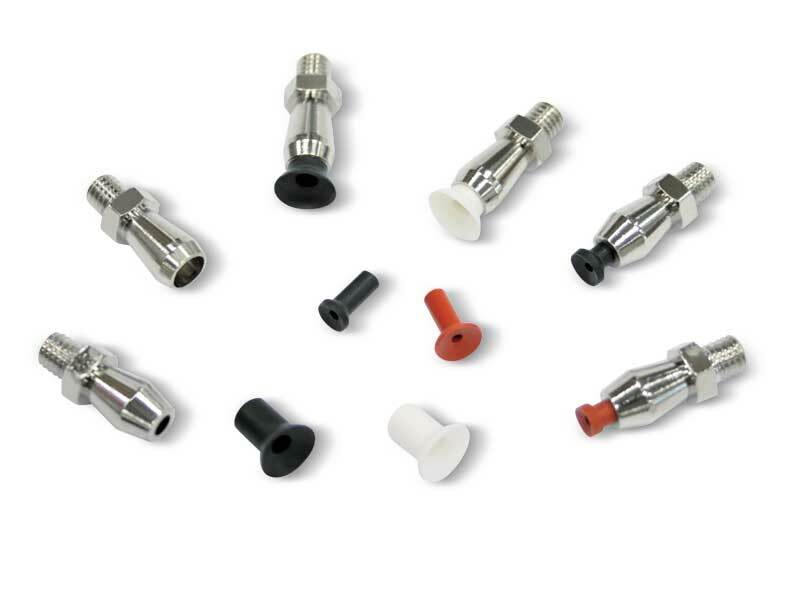 The anodized aluminium male or female threaded 1/4” gas suction cup support for fastening ensures the proper suction flow rate to the suction cup. 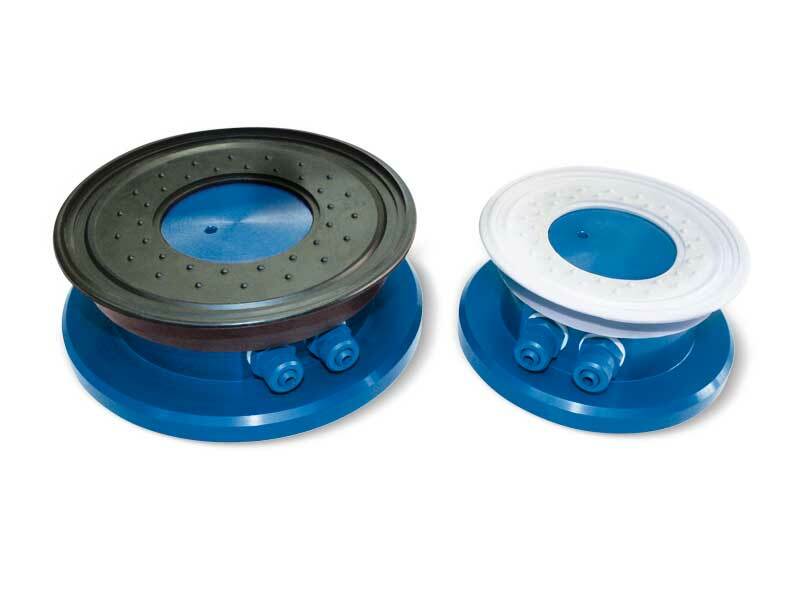 Vuototecnica has devised the all new two bellow suction cups for the handling of especially heavy cardboard boxes and packaging in the packaging sector. 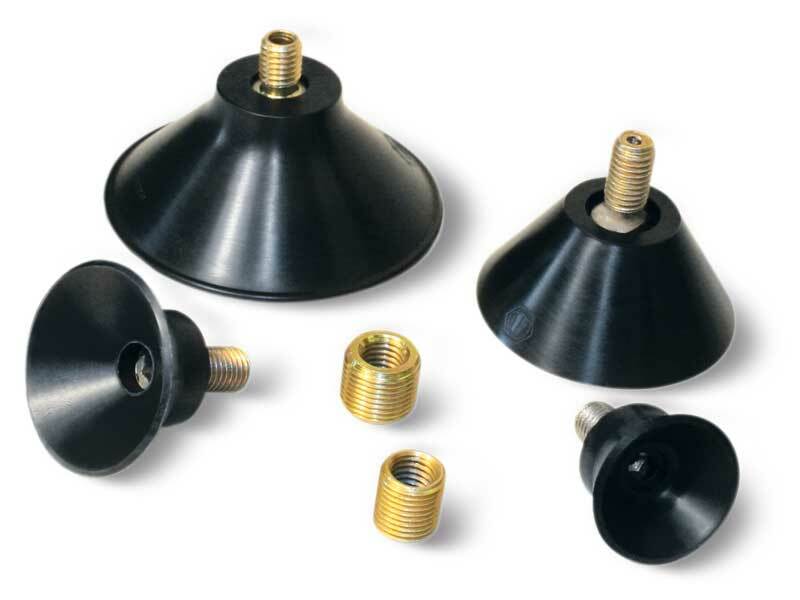 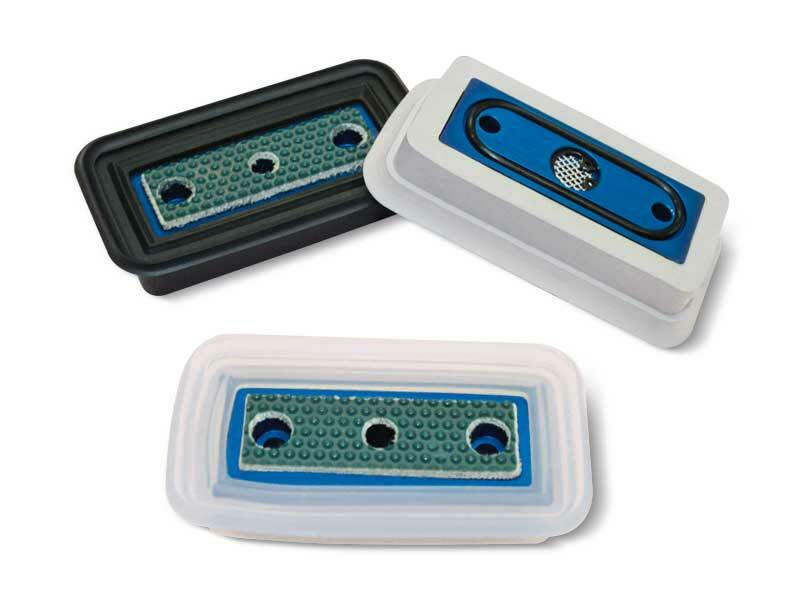 These suction cups are able to compensate for the gripping height with a greater recovery of the unevenness of the load to be lifted and, at the same time, ensure good seal and stability. 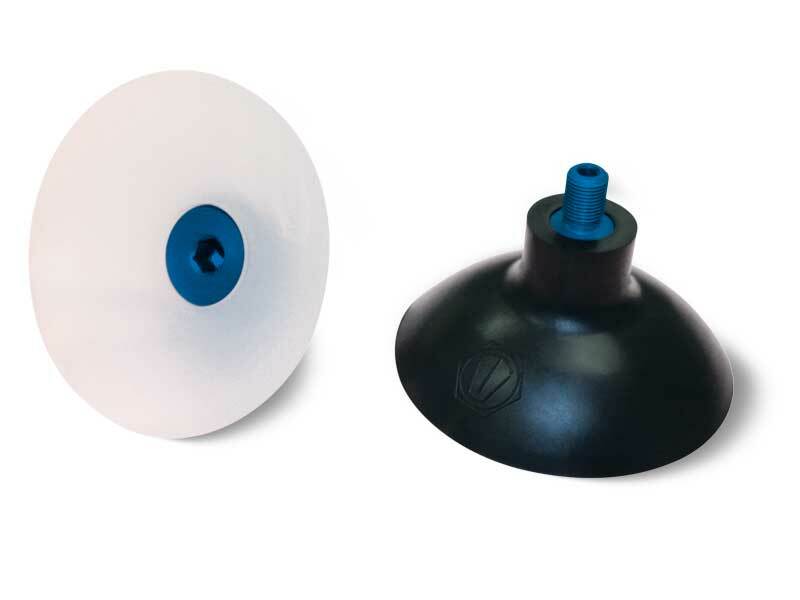 The thick, robust suction cup lip has been studied with the suction ducts to ensure that it adapts perfectly to the object to be gripped, even when the latter is not perfectly perpendicular to the axis of the suction cup, and is able to absorb tears and sudden accelerations, typical of robotised movements.